On this page I'm going to take a look back at some cool (and some not so cool) gadgets from the 70s and 80s. The first video (above) features some of today's kids trying out some 1980's technology, including a dual cassette player, a Commodore Plus/4 computer (which was a bit of a flop back in the eighties) and Atari 2600 console. Hmm, I'm not sure why they gave them Pacman to play on the Atari as it was a notoriously bad version of a classic game. 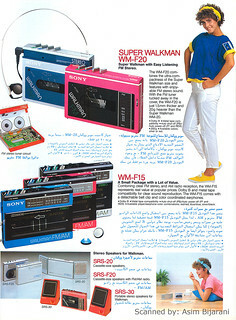 No article about 80s gadgets would be complete without mentioning the Walkman. This was the ultimate portable cassette player and the brand is still going strong, although the technology is very much different, of course. The original portable cassette player was the must have gadget back in the 80s, particularly with leg warmer wearing joggers. 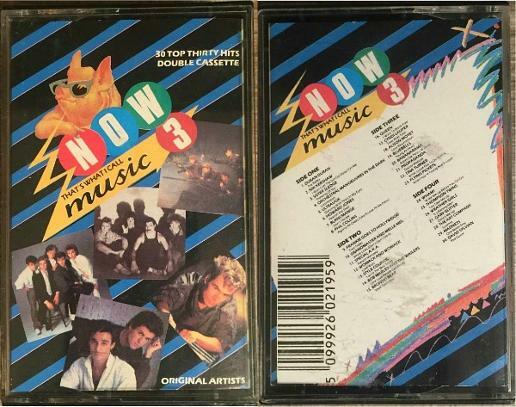 Now That's What I Call Music 3 double cassette album - perfect for inserting into your Walkman. The original model of this portable TV was called the FD-210 (pictured above) and was launched in 1982 in Japan, and 1984 in North America and Europe. This model went on to become the World's first mass produced pocket TV, although you needed really big pockets! 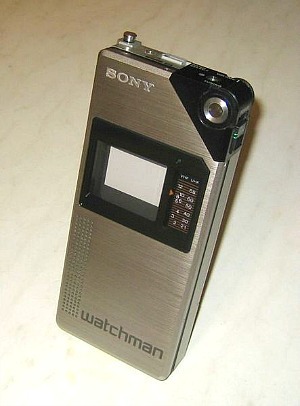 The FD-210 featured a 5cm greyscale display and included a built-in radio. By the end of the eighties, a colour LCD display was made available, although the CRT black and white display was still available until 1994 on the models FD280 and FD285. 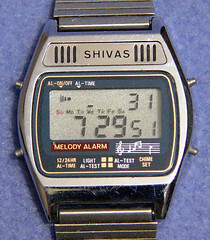 Digital Watches were extremely popular in the eighties. If you didn't own a Casio, then you weren't worth knowing! 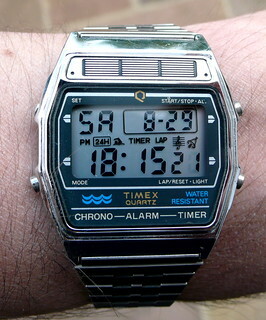 The first watch I had was a Texas Instruments watch (a Christmas present) with a luminous background. 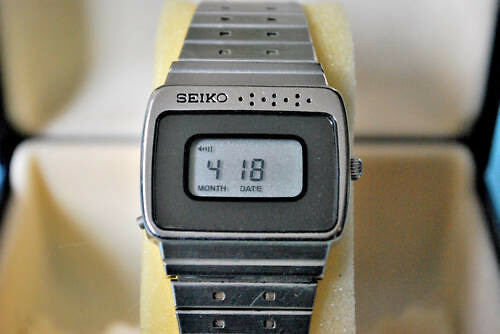 It was quite basic compared to the Casio's, but seemed more sturdy and had a luminous green background. I should have kept it as is was quite unique and would probably be worth a fortune today! 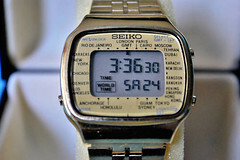 In either '83 or '84 I owned a Casio calculator watch. These had only just come on to the market and really seemed futuristic at the time. Like today's mobile phones, watches became more and more sophisticated as the decade progressed. 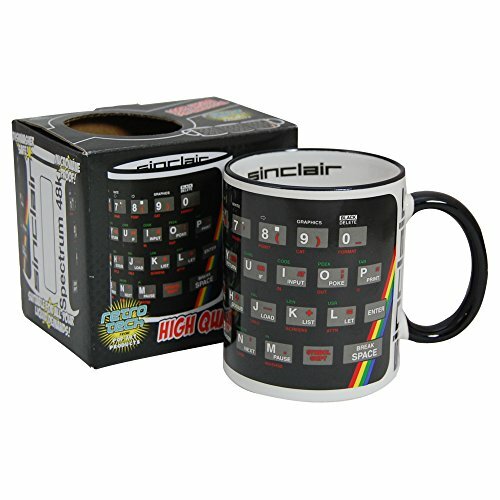 They were packed with features you didn't actually need - you could actually play space invaders on my calculator watch. 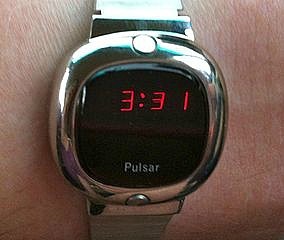 I remember that we used to compare digital watches at school and it was essential that you had as many cool (but utterly pointless) functions as it was possible to cram into a watch. The number of built-in melodies would have been crucial for your street cred! The advent of the digital watch saw a huge decline in sales for mechanical watches. In 1983, Swatch was born and its aim was to recapture the analogue market that had been lost by swiss manufacturers - this was known as the quartz crisis. The designs were bold, quirky and colourful, and were particularly aimed at a younger audience. Each design was given a unique name. 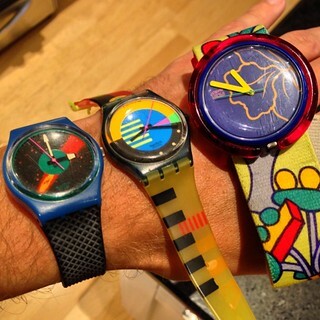 The pop swatch became particularly popular later on in the decade (and into the 90s) and could be attached to clothing. The Polaroid instant camera was first launched in the 1960's, but became popular during the 70s and 80s. 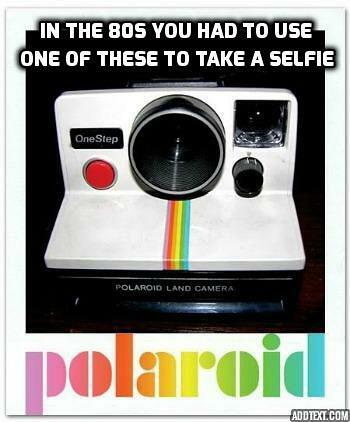 I always remember the excitement of taking my first polaroid picture and watching it develop before my eyes! Of course, professional photographers wouldn't go near the things as the colour wasn't as "real" as in 35mm pictures, and you didn't get any negatives that could be enlarged. But for everyone else, this magical camera was a dream come true! With the rise of the digital camera, the instant camera became redundant and in 2008 Polaroid ceased producing them. However, just a years after the comapny announced that it was to shut down its factories, it announced that it was to relaunch the range - make your mind up guys! 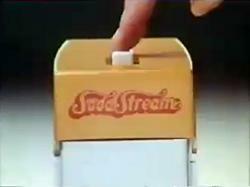 If you managed to get through the 70s and 80s without purchasing a Sodastream, then you must have been living on Mars! Well, actually my parents never bought one, but some of my friends had one. People went crazy for this gadget that made different flavoured fizzy drinks in the comfort of your own home. The Sodastream included a carbon dioxide cylinder and reusable beverage bottles (suitable for pressurising). You filled the bottle with water, threaded it onto the machine, and with a button push, compressed CO2 from the cylinder is injected, creating the fizzy soda! Then you would add a flavoured syrup and hey presto, you're very own fizzy pop! After a while people cottoned on to the fact that it was far quicker to simply go down to the shops and buy it ready-made! The video clip below features the JVC HR3300, which was the world's first VHS Video recorder. VCR's were just starting to become affordable and, therefore, popular household items in the early 80s. During the late 70s there were two formats battling it out for supremacy - VHS and Betamax. Although the Betamax format was superior to VHS, the limited one hour recording tapes - compared to 4 hours for VHS - probably helped kill off the format. The VHS was crowned the winner and quickly dominated the marketplace. 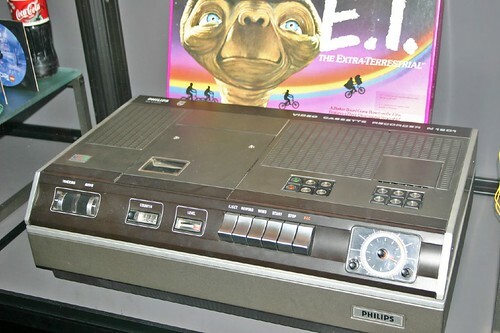 The early VCR's were big and bulky, but pretty solid. Many had big metal switches and wooden fascias. It cost around £600 for a cheap model, and JVC were one of the market leaders. 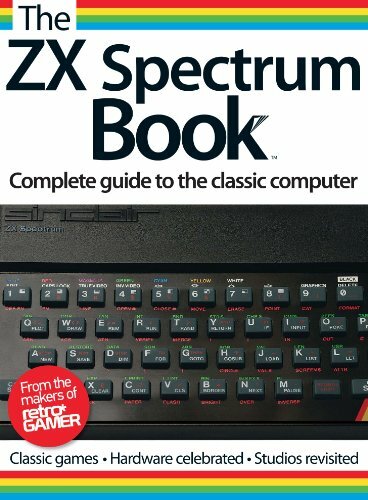 I was at Comprehensive School from 1979 to 1984, and had the pleasure of seeing a whole range of different models being shipped between each classroom for different lessons. We didn't have a video recorder at home until the mid eighties. Our first model was an Amstrad which featured half-speed recording. This effectively turned a 4 hour tape into an 8 hour tape, although the picture quality was reduced. Also, anything taped at half-speed was incompatible with other standard machines. Prices of VCR's quickly dropped throughout the 80s. A new machine could set you back close to £1000 in 1980, but by the end of the decade you could obtain one for less than £300. The Sony Betamax C7 video recorder was launched in 1979 as a top of the range machine and was very advanced at the time. It included full infra red remote control. This clip features an 80s TV Advert for a state of the art Akai VCR.